Father Joe’s Villages uses the Harm Reduction Model to empower clients to reach their goals. Long before the 2017 hepatitis A outbreak began its assault on homeless people in San Diego, there was another scourge waging battle: substance abuse. Both situations are complexly intertwined with homelessness and both disproportionately affect individuals experiencing homelessness. As we detailed in our blog about hep A, older people who contract Hepatitis A have a higher frequency of symptoms and tend to get a more severe illness. Death, from Hep A, while rare, most commonly occurs in persons over 50 years old and those with chronic liver disease. Heavy drug or alcohol use can weaken the immune system and cause liver damage leading to chronic liver disease. According to the San Diego Medical Examiner, there are hundreds of reported unintentional drug/alcohol related deaths each year. In 2016, the Central San Diego area had one the highest drug/medication related death rates in San Diego County. Homeless individuals, in particular, suffer from substance use disorders at disproportionate rates. Although accurate numbers are difficult to obtain, a report on Substance Abuse and Homelessness by the National Coalition for the Homeless cites one study that found “38% of [the] homeless people [who participated in their study] were dependent on alcohol and 26% abused other drugs.” An analysis of Father Joe’s Villages data shows that of 5,728 single adults who exited any Father Joe’s Villages’ Transitional Housing program from 1/1/2010 to 12/31/2014, 46% reported Substance Abuse issues. There are many reasons that might contribute to the high rate of use among individuals who are homeless including the stress of being homeless, mental illness, self-medication for health conditions, prioritizing basic survival over recovery, trauma and more. A recent article published in the International Journal of Drug Policy states, “Homelessness and drug use often overlap and the harms of substance use are exacerbated by homelessness. Responding to the twin problems of homelessness and substance use is an important aspect of strategies to end homelessness” (source). That’s why, in our efforts to end homelessness in San Diego, Father Joe’s Villages offers integrated services catered to the individual situations and goals of our clients. We work to address an array of complex barriers that people experiencing homelessness face. In addition to providing the dignity services, housing and food that cover people’s basic needs, we offer a wide range of medical, mental health and addiction treatment resources to help individuals confront obstacles to housing and employment. At Father Joe’s Villages, we use the Harm Reduction Model, a best practice approach which empowers people to make their own goals and gives them access to the tools to achieve them. Harm reduction is a set of practical strategies that reduce the negative consequences of drug or alcohol use. It incorporates a spectrum of strategies from safer use, to managed use, to abstinence. Harm reduction treats drug and alcohol users as agents in reducing the negative outcomes of their use. By helping people develop incremental goals, identify strategies to meet their goals and connecting them with the resources, Addiction Treatment & Education Center counselors help people learn decision-making skills that they will carry into the future. Harm reduction “does not attempt to minimize or ignore the real and tragic harm and danger associated with licit and illicit drug use” but works to offer a “non-judgmental, non-coercive provision of services and resources” (source). Once a client is engaged, Addiction Treatment & Education Center counselors and other Father Joe’s Villages’ professionals help the client identify their own goals. The goals can be directly related to substance use but more often clients choose lifestyle goals. They want to live in an apartment again, see their kids, own a car or be able to do an activity their once loved. 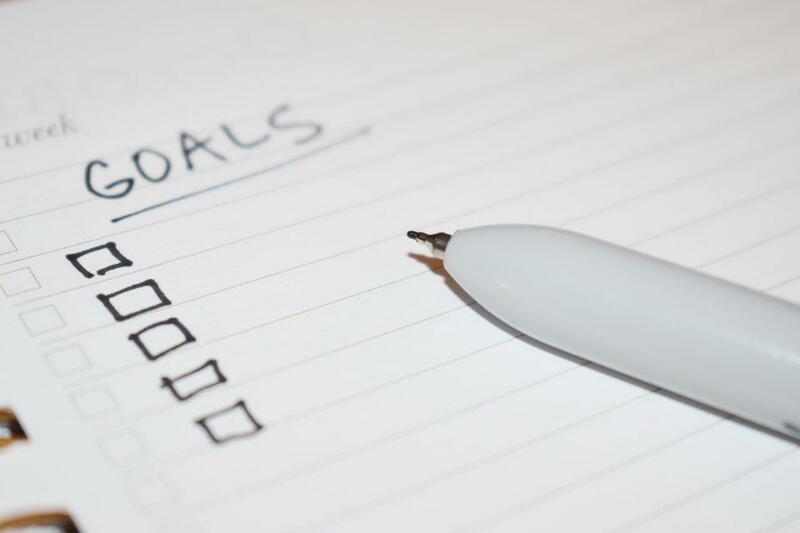 As clients work on achieving their goals, ATEC Counselors are there by the client’s side, helping them see how their daily actions and choices impact their ability to achieve their goals. It is during this incremental exchange that clients often come to realize how their choices to abuse drugs or alcohol are keeping them from their goals. For many, this is the point when they might decide to quit. As an example, one of Paul’s clients realized that he would never be able to ride a Harley motorcycle again if he continued spending his money on methamphetamine. For another client, the awareness came when he thought about providing a better life for his soon-to-be-born child. Paul has seen many clients successfully obtain their goals by practicing harm reduction. Another one of his clients, “Jake,” was drinking three bottles of vodka every day. Jake’s body was so accustomed to the alcohol, he had to drink just to keep his body functioning. 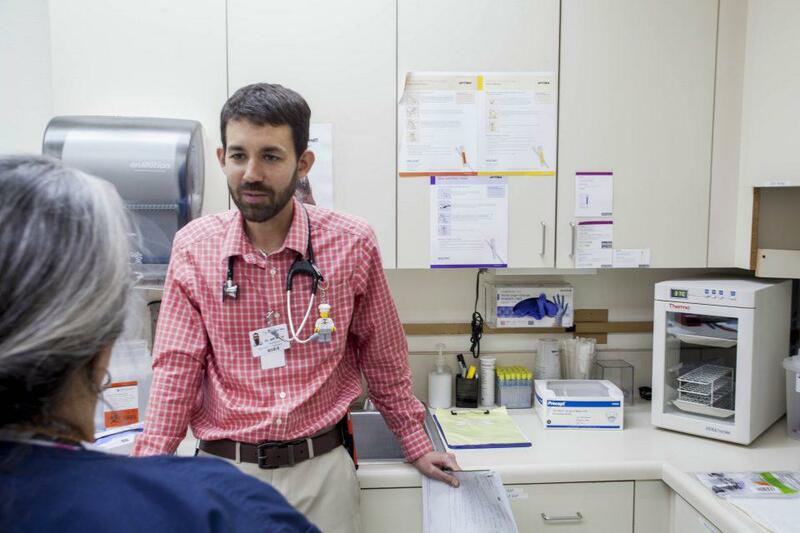 Eventually, Jake came to the Village Family Health Center and asked for help. Paul, the client’s doctor and other team members worked together to help the client create a plan. Jake began to go to Alcoholics Anonymous and other addiction treatment support groups and classes. With a lot of hard work and determination from Jake and his team from Father Joe’s, he was eventually able to reduce his intake to one bottle a day. Then, in order to prevent the life-threatening symptoms that can arise from quitting, he attended a two-week detox program. Jake has now been sober from alcohol for over a year. “His life’s improved to the point where he’s taking college classes, he’s taking golf lessons, he’s taking pottery lessons. So, he’s functioning a lot better,” Paul said with a smile. Father Joe’s Villages offers a whole range of services all aimed toward helping clients accomplish their goals, including housing, mental health services, therapeutic childcare, employment and education services, medical and dental services and more. The depth and breadth of our services gives clients the tools to face the many complexities and barriers that might be preventing them from gaining employment, housing and other objectives. Project 25: Gives personalized, comprehensive support to people who are chronically homeless and frequent users of emergency services.